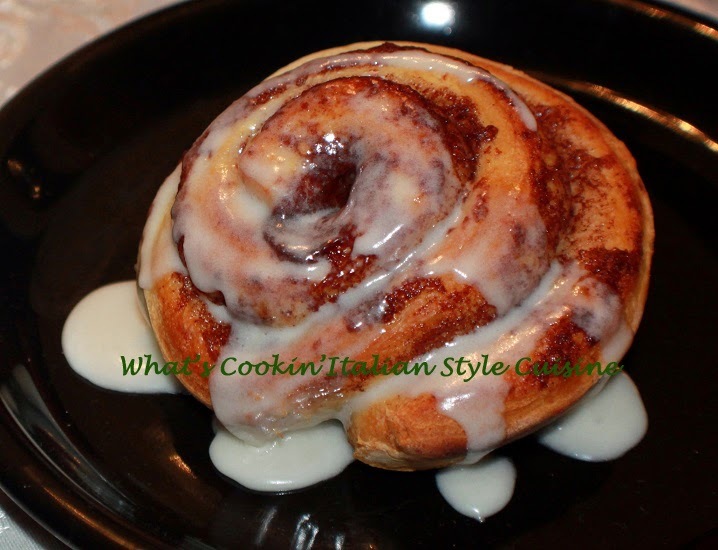 Sweet roll recipe with the best creamy icing. The perfect comfort food in the cooler weather. We just love the smell, it's hard to wait until they are cooled off to eat them and we always end up burning the roof of our mouth because we just can't wait! Combine the milk, sugar, shortening and salt let cool with the milk to slightly warm. Add 1 1/2 cups of flour, beat in the yeast and egg. Add the remaining flour beating until it forms a soft dough. Cover and let rise in a warm place until doubled in size. Roll dough out into two rectangles on a floured board. Spread with half cinnamon filling mixture on each dough and roll up like a jelly roll sealing the edges. Cut into 2 or 3 inch thick rounds and place on a parchment lined cookie sheet to rise for another 30 minutes. Bake at 375 in a hot preheated oven for around 25 minutes or until lightly browned. Frost while warm with cream cheese frosting below. Beat together and spread on warm rolls. I love these cinnamon rolls and would not be able to wait until they cooled either. Hope all is well. It is snowing as I write this!